I had the great fortune of taking part in a FAM Trip (Familiarization Trip, also called Press trip) to the Barcelo Grand Faro Los Cabos. I’ve heard people drop the line, “we went to Cabo,” without really thinking about it’s location. I was content to lump it into a general sunny resort area in Mexico. But once I paid attention to where Los Cabo San Lucas, Mexico is actually located, I was enamored with the experiences that people can participate in on this southernmost spot on Baja California Sur. You know how I love cactus. 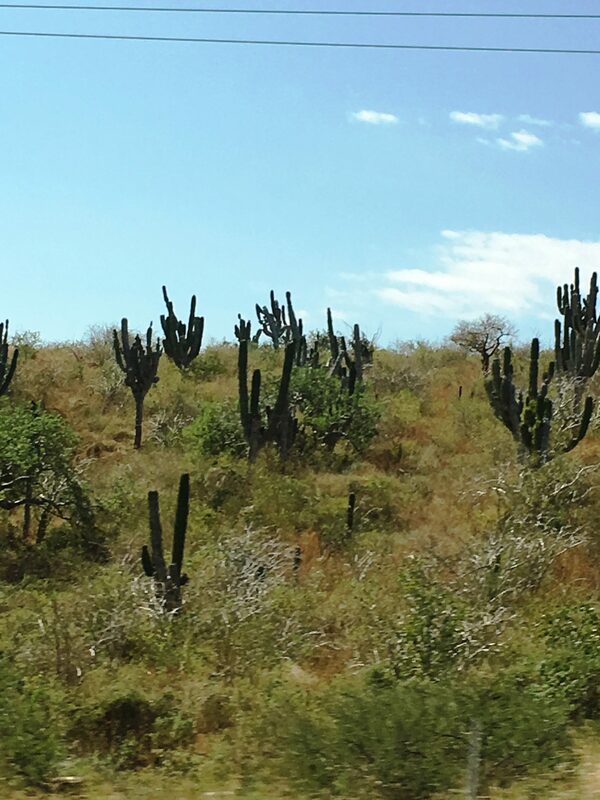 We were picked up at the airport and driven along the foot of a mountain desert on our way to San Jose Cabo, which is another spread of beachfront resorts and hotels, but with a more family-oriented feel to it than its raucous party neighbor, Cabo San Lucas. The view from my balcony. Paradise! 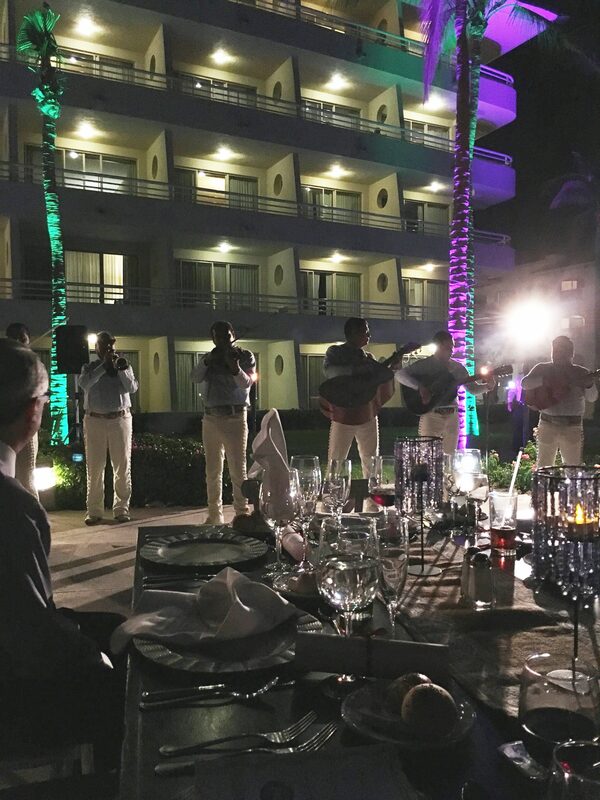 We were treated to an elegant dinner outside with a mariachi band providing entertainment. We were taken into Cabo San Lucas for a day cruise and a Film Festival After Party. It was fun to explore that more rowdy, vibrant hot spot, but I was just as happy to get to our more secluded all-inclusive resort after staying out until the wee hours of the morning dancing and eating tacos. The entire weekend that Transcabo and the Barcelo choreographed was fantastic. They really showed us what Cabo was all about.